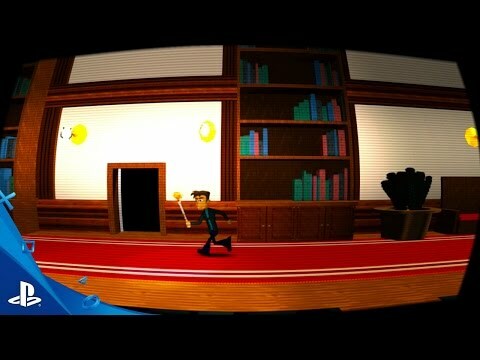 Last Stitch Goodnight is a side scrolling action adventure that violently embraces a new modern mythology. After you survive a near-death, out-of-body experience, you are kidnapped by a doctor who is experimenting on people who satisfy certain… criteria. Escaping the doctor’s death trap of a mansion will require new weapons, new powers, and a strong stomach for facing science gone bad. It starts with a steady mechanical beep. As the bright light begins to fade, you are able to make out a long hospital corridor that you don’t recognize. People are pacing, concerned. Far down the hall, in the very last room, you see your own body lying motionless on a bed. Which is surprising, because you don’t remember taking it off. And then things get weird. You aren’t the first test subject to be imprisoned by the doctor. The workshop houses an army of failed experiments, malcontent robots, and data-entry-proficient office temps. And that doesn’t even cover what the good doctor keeps over in the mansion. You will need to learn all of their unique attacks so you can run, duck, dash, attack, and survive. You won’t be able to brute force your way past all the obstacles and traps. Fortunately, every weapon is a tool, and every tool is a weapon. When you aren’t bludgeoning enemies, you can use your tools to dismantle, poke, and saw, letting you gain access to rooms that have been hidden away from prying eyes. After years of using a screwdriver to shiv various things that need shiving, you will finally find a new use for it. Explore the dark, handcrafted mansion of Last Stitch Goodnight and find all the hidden rooms and passages that connect the loose ends of mystery. Unearth decayed prisons where many before you suffered. Uncover medical laboratories that would make Hippocrates extremely uncomfortable. Discover offices full of accountants who ARE JUST TRYING TO DO THEIR JOB! COME ON! 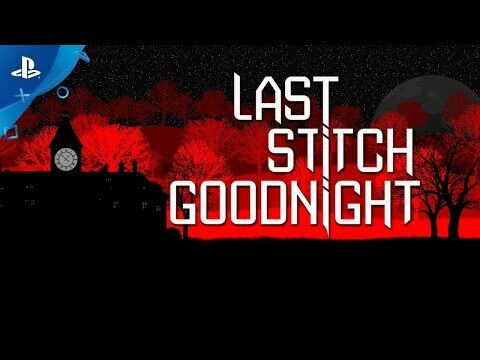 Last Stitch Goodnight hosts a genuinely livable space for you to explore, where you’ll uncover secrets, powers, and truths.